Hideo Itami vs. Noam Dar: Daivari is out with Itami, demanding that the fans show Itami the proper respect. Dar attacks Itami at the bell, works him over with strikes and follows with a dropkick; the backslide gets 2. Dar looks to start working the arm, but Itami quickly fires back with kicks and follows with a draping leg drop for 2. Itami follows with kicks, and then somebody shots and the running knee to the gut follows for 2. Itami grounds things, follows with knee drops and poses. Itami lays in strikes, grounds the action again, and Dar tries to fight to his feet. He does, avoids the running kick, and then takes out the knee of Itami. Dar lays in uppercuts, and northern lights for 2. Dar then gets a cradle for 2. Dar attacks the knee, fights off Daivari, and the distraction is enough for Itami to hit the corner dropkick and his falling knee gimmick for the win. Hideo Itami defeated Noam Dar @ 6:55 via pin [**½] This was a perfectly solid match to kick off the show, as they look to heat up Hideo Itami again. – Drake Maverick meets with Buddy Murphy. 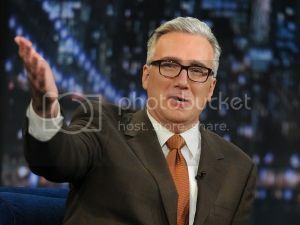 Murphy says he beat Ali & Alexander, his two biggest threats. Murphy wants to be the BEST cruiserweight in the world and he wants a challenge for his next title defense. Maverick likes it and says he’ll have an answer for him next week. Lio Rush vs. Aaron Solow: Lio attacks before the bell, takes Solow to the floor, works him over, and back in and Lio hits the frog slash. He lays in ground and pound, back up top and the frog splash connects again. Lio Rush defeated Aaron Solow @ 1:15 via pin [NR] This was a fine rebound squash for Lio. – Cedric Alexander says he slipped at TLC, but that this is still his show and Buddy is holding his championship. – Next week is a best of 205 Live special. Brian Kendrick & Akira Tozawa vs. Jack Gallagher & Drew Gulak: Kendrick is clean-shaven, looking years younger, but very odd. They start brawling on the floor right away, with Kendrick and Tozawa controlling to begin. They get a table, but knocked back to he floras the heels get rid of the table. They follow and get cut off and Kendrick and Tozawa now focus in on Gulak in the ring. They work double teams until Gallagher makes the save. They cut off Gallagher, working double teams on him and to the floor they go as Gulak & Gallagher attack with trashcan shots. Back in and Gulak pummels Tozawa with trashcan shots, puts it on his head and then hits it with a broom. Gallagher takes over on Tozawa as Gulak works over Kendrick on the floor. Gulak throws a mop at Kendrick and then a bucket. Back in and Gallagher is in control, grounding Tozawa. Gulak fish hooks Kendrick with a bungie cable, Tozawa makes the save until Gallagher head butts him. The heels dump Tozawa to the floor, and then start going for covers on Kendrick. Double teams follow and another cover gets 2. Gulak sets up the mop bucket, but Kendrick counters the suplex into the double DDT. Gulak and Tozawa brawl now, Gulak beats on him with the mic but Tozawa lays him out with a jab. Back in and Tozawa hits a RANA on Gallagher, the senton follows and Tozawa hits chair shots on both. Kendrick bungies Gulak to the post, and he and Tozawa lay in chops on him. Gallagher makes the save, frees Gulak and they put Tozawa in a chair and Gulak wheels him into a Gallagher big boot. Kendrick tries to fight them off, tossing Gallagher into Gulak. Back in and Tozawa gets the cobra twist on Gallagher but Gulak locks on the gu-lock. Kendrick slams Gallagher onto Gulak. The heels dump Tozawa, working submissions on Kendrick, but Tozawa is back and hits the big senton onto Gallagher for 2 as Gulak makes the save. Tozawa dumps Gulak, but suicide dives into the trashcan. Kendrick tries to fight off Gallagher, and hits sliced bread off the ropes for the win. Brian Kendrick & Akira Tozawa defeated Jack Gallagher & Drew Gulak @ 17:35 via pin [***] This was an overall good match, that failed to use the stipulation as well as previous 205 Live grudge matches. I expected more aggression and a bigger sense of urgency, but hey, the babyfaces overcame and had a feel-good moment, which was nice. 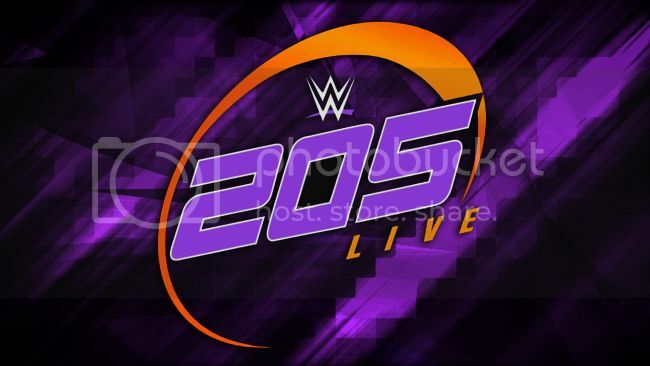 This week’s episode of WWE 205 Live was a solid, but unspectacular show to close out the year as far as fresh programming goes; next week is a best of show.